What is your Klout Score? Are you obsessed with reaching the 100 score or you have never heard of it? Let’s consider the ways Klout measures your online influence, based on the latest novelties introduced. A few days ago, Klout has introduced this feature : it provides a stream of suggested content, tailored on each user based on their own interests. Klout uses social media to analyze and classify the users based on their influence on the other members. It assigns a numerical value (KloutScore – from 1 to 100), which measures the actions of the users on social media, and correlates the content created to understand how other members interact with that content. In a nutshell, Klout measures your influence on social media. 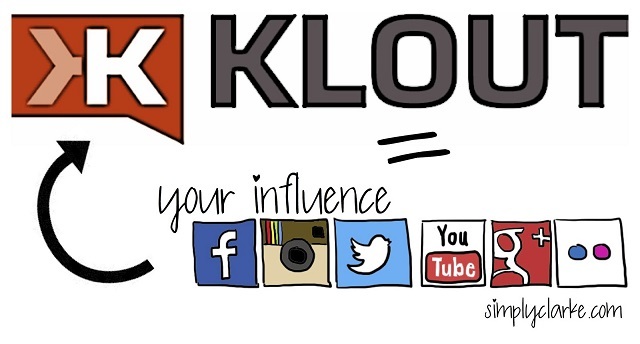 The new Klout will tell you not only the categories into which you are most influential on social media, but also how to improve your influence. The last significant innovations introduced put the service into a new perspective : defining a score, highlighting the arguments on which you are influential and to precisely defining the key moments of content sharing. The desired outcome is to enable users to increase their influence through selected content. Basically the mission of Klout is to help people to be known for what they love and assist them creating better content. If the flow of news and content suggestions is created automatically based on your actions on each social media, then you can add or delete tags / topics (such as restaurant, technology, blogging… ) that interest you less or more. Through a blogging community mechanism, you can rate the content offered in order to make more targeted suggestions. The editor through which you can share content allows you to enter and add the text that will match the link in order to present it to the fullest. In addition to this, you can add an image, the button that will allow you to do this is at the top right of the new layout. 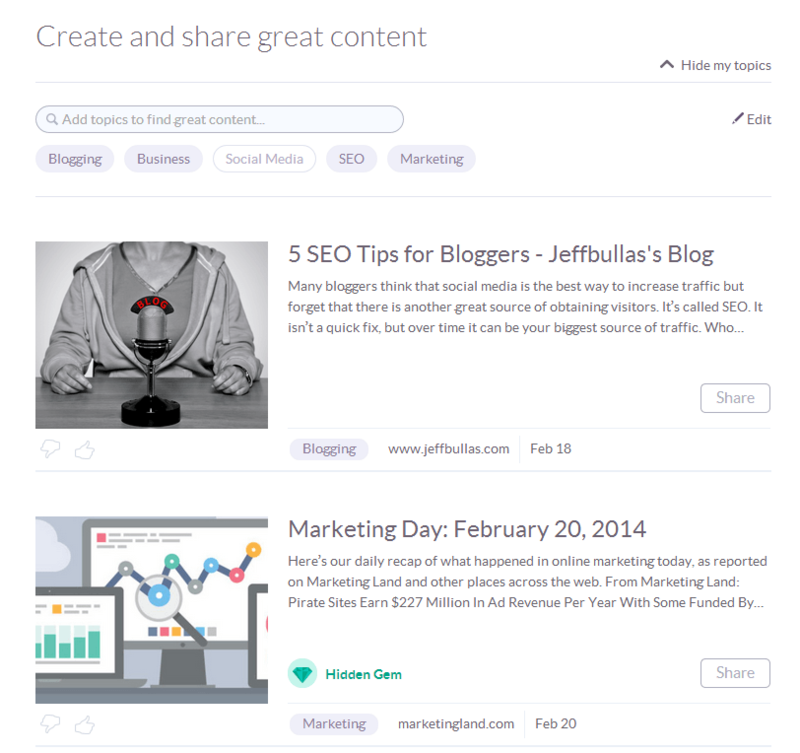 Klout recommends you the content according to your audience on social media. It includes what goes into trends and social behaviors of the public. The content sent is based on social media, but also on RSS. The algorithm that governs Klout has not changed and, as pointed in the Klout blog post, it does not help in any way those who use Klout to share their content with respect to other services. Klout collects data that help users to find the right content that may lead to more feedback. This is the purpose of this new tool: “Create“, which allows you to choose and share articles. You may also want to schedule a time for the sharing. In short, it seems that the emphasis is no longer focused only on the score, but also on creating and sharing relevant information to have an involved and affected audience. The new layout looks like a news feed, with the topics showed on top for which you demonstrate the greater influence. Then you can add up to 7 categories to which to aspire. The approach of Klout seems to encourage the content creation, with all that this implies. Now users have the opportunity to reinforce the reasons for which they are influential with regard to a particular subject and they have the necessary tools to measure the accuracy of this. How and whether this will affect social media, you’ll see over time. The first comments on blogs like TheNextWeb or Mashable are not flattering. The reason of the introduction of the “Create” tab is more due to the search of legitimacy of the existence of Klout more than a novelty. The accusation that we read between the lines is that it is an app that has failed to achieve a degree of authority recognized worldwide. The only big benefit of Klout, at least according to Mashable, is represented by Klout Perks, the only reason of interest for the companies and marketers . The Klout Perks are prizes offered by companies available to earn for users according to their degree of influence. They are valuable to companies because they can build contacts with influencers. And they are appreciated by users because they are free and interesting opportunities! What’s your score and your point of view on it? I’ve never heard of Klout. I need to take a look. I am glad you learned something new today. So, in short, I need Klout for my online business? You do not “need” it, Mark. Klout just measures your social media influence. It’s more curiosity, than a mere need. Sometimes when the site changes, it also loses part of the engagement, due to the difficulty of usage. Seems like klout gas got awesome improvements. But the thing is I rarely use klout but will check it out.